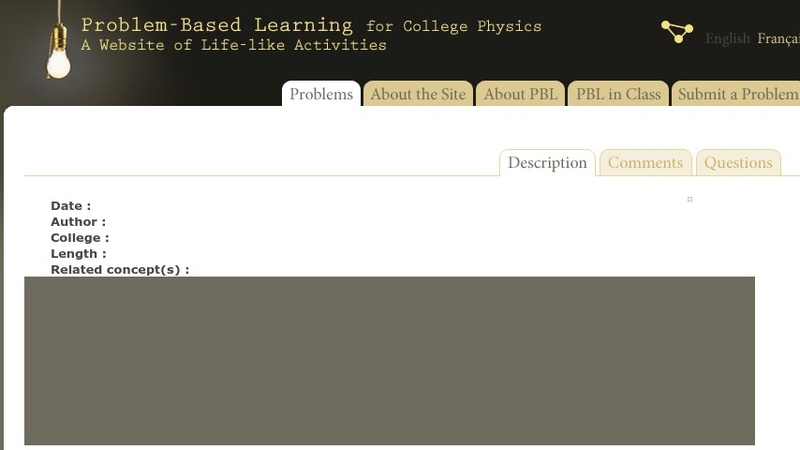 This item is a PBL (Problem-Based Learning) activity for introductory physics relating to conservation of momentum, frictional force, and kinetic energy. This scenario involves a car crash in which a small car is struck broadside by a vehicle of more than double its mass. Students have the task of determining whether either driver engaged in reckless driving. To solve the problem, students work cooperatively to determine the coefficient of friction on the roadway, velocity of each vehicle at the time of the crash, and velocity of the vehicles prior to braking. They will use a combination of strategies: Work-Energy Theorem and kinematic equations. PBL is an instructional method designed to strengthen student competency in reasoning and problem-solving. The activities mirror real scenarios encountered by practicing scientists and engineers. Learners sift through information to separate useful from irrelevant data, locate missing information on their own, and then apply physics in finding solutions. This resource includes a printable student manual and a password-protected teacher's guide with solutions and tips for instructors.